Anytime you can visit something prefaced with “the world’s largest…,” why wouldn’t you? I had that opportunity recently during a visit to South west Virginia. It’s original purpose was to kick-off the year’s Christmas shopping season. Over the past 60+ years, it has featured several different colors of lights – red, white and blue (for the bicentennial celebration in 1976), all red (to indicate a traffic fatality), and all white (in honor of the Virginia Tech massacre in 2007). 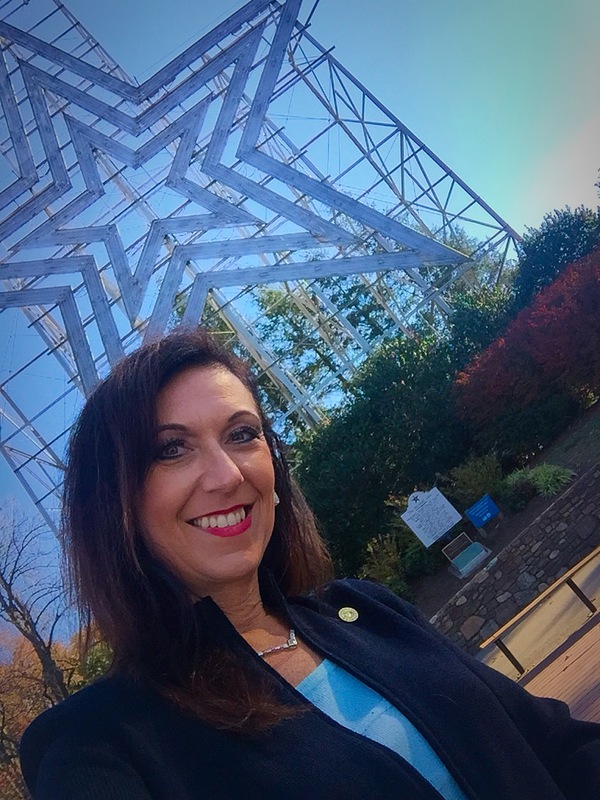 Also known as the “Mill Mountain Star,” the structure is more than 88 feet tall and has more than 2,000 feet of neon tubing. 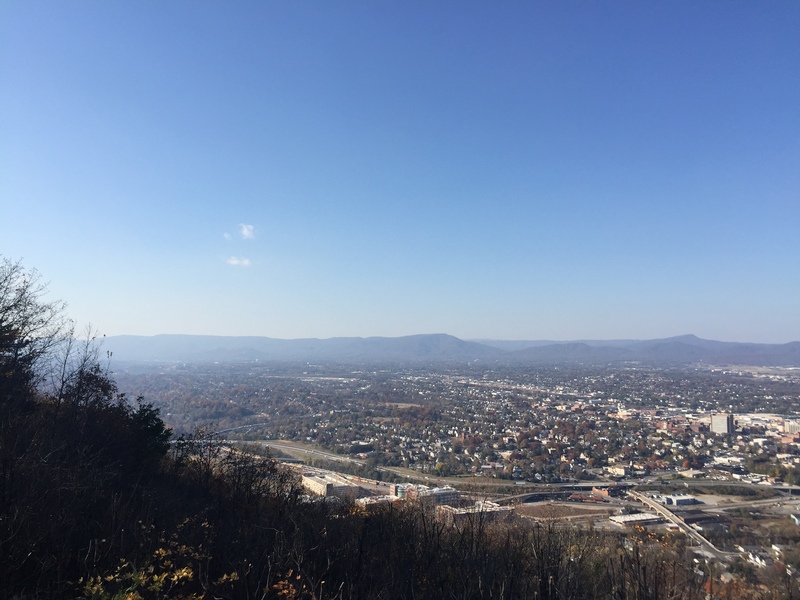 It’s a short drive up the mountain to see it up close and in person, and once you get there, don’t miss the views of the city from the overlook. Fortunately, exquisite scenery (and a zoo next door-that is NOT open off-season I learned the hard way) is not the only thing Roanoke offers. There’s also something for those interested in transportation, the arts, history and shopping. The Virginia Museum of Transportation has been open more than 50 years, and while it represents all modes of transportation, it focuses on the rich traditions of railroads in Roanoke. It even features the largest collection of diesel locomotives in the south. During my recent visit, I spent an entire afternoon exploring the Taubman Museum of Art in downtown Roanoke with a friend who lives there. At first glance, t his beautiful, contemporary building appears out of place in the center of the city’s historical district. But inside is a pleasant surprise that perfectly complements the past, present and future of the city. Featured artists rotate on a regular basis, while permanent collections by internationally-acclaimed artists and experiences aimed at hands-on children experiences add to the charm of this free attraction. 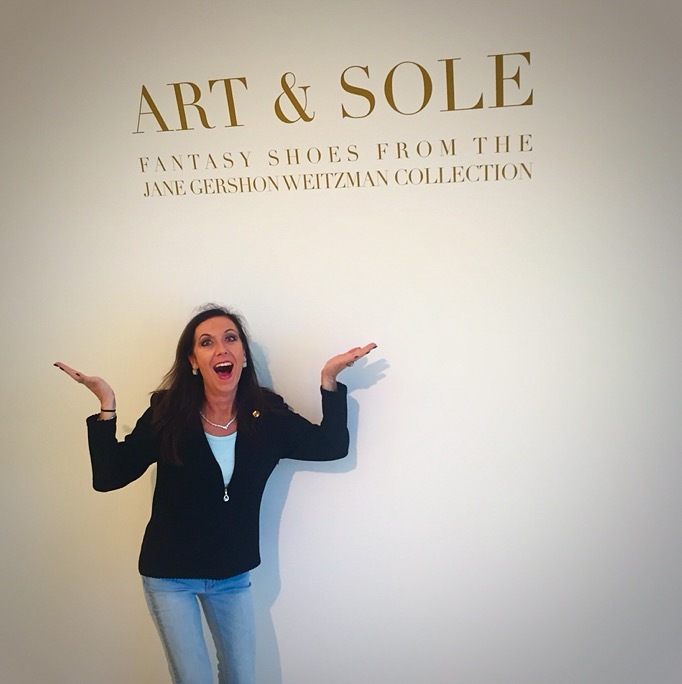 It was only fitting that both Judith Lieber handbags (Earthly Delight) and Jane Weitzman shoes (Art & Sole) were featured exhibits during my recent trip. Looking ahead, a return visit may be necessary to experience the new “Tastings At The Taubman” events that will celebrate my second favorite luxury after shopping – wine and spirits! A beautiful drive up the Blue Ridge Parkway made getting there half the fun. And since I only had a few hours to explore, I definitely plan to return soon to see even more of what the “Star City” has to offer! The county seat is defined as the town or city where government offices and buildings are located. 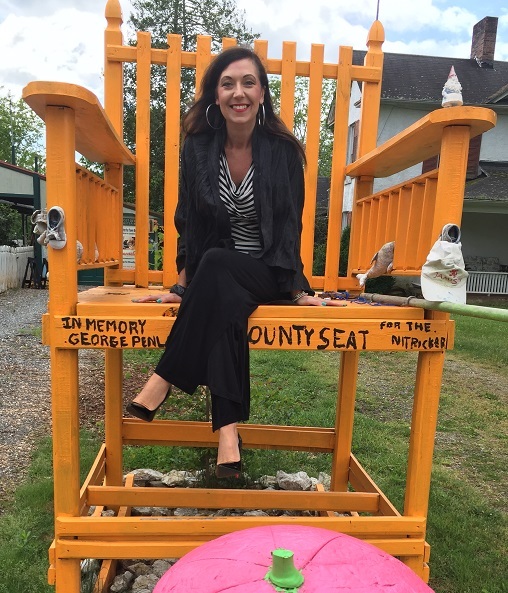 In Jackson County, North Carolina (population 40,271 according to the 2010 census), it also means a really big chair. Webster, NC (population 363) sits in the geographic center of the county and was once the only township in Jackson County. It was designated as the “county seat” from 1851-1913, when it was replaced by the more powerful railroad center of Sylva, also the home of the Jackson County courthouse and library. Even though Webster is no longer “officially” the county seat, it does HAVE a county seat thanks to local resident and former postmaster Mark Jamison. 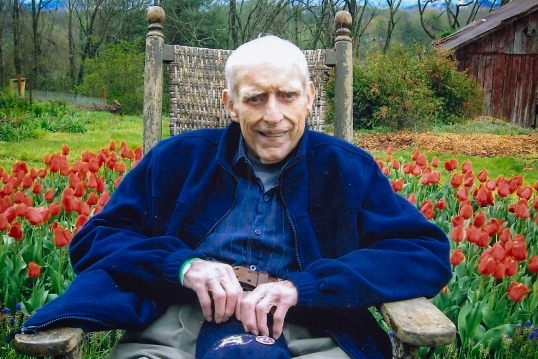 The story of how the chair came to be is long, complicated and somewhat political, but the important part is that it was built by Jamison in memory of his neighbor and friend, George Penland. Small-town politics ca n often have a unique flavor that leaves a bad taste in residents’ mouths. That might be the case with the “county seat” in Webster, but Jamison is immune to the actions of what his late friend George called “The Nitpickers” in his town, and built the chair (and other oddities) in his front yard in spite of them. But then, I returned to my car and went back to work for the day, feeling a little like “Edith Ann” I must admit. But sitting in that chair was one of the highlights of my day and I found myself telling everyone I saw that day “Guess what I did today! ?” How often do you really get to say that? Jackson County is relatively unknown to most outside of Western NC, but its’ beautiful scenery was featured in the 1993 film The Fugitive, starring Harrison Ford and Tommy Lee Jones, as well as the 1972 drama Deliverance and the 1996 comedy My Fellow Americans. While the county seat (and library and courthouse and, well you get the idea…) is now in Sylva (population 2,588), the chair in Webster is more popular. It’s only an eyesore to those who have forgotten how to find amusement in life – like in the twinkle of a senior citizen’s eye or the giggle of a toddler, both of which the iconic chair inspires. Jamison tells me he will be moving soon. After years of renovations to his house built around the same time Webster was formed in 1851, and years of public service, it’s time for a slower lifestyle. The chair, which meets all of the county building codes (much to the chagrin of “The Nitpickers”), is now for sale. Hopefully it will continue to bring delight to another small Southern town and passersby like me.